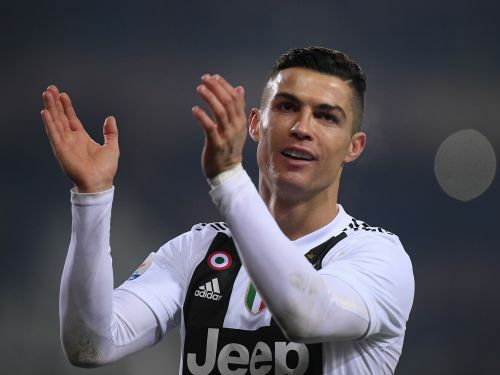 Genoa (Italy), March 18 (IANS) Without Portugal star Cristiano Ronaldo in its squad, Juventus was handed its first Serie A defeat (0-2) at the hands of host Genoa in a matchday-28 contest held at the Luigi Ferraris stadium here. Heading into the match, Juventus had collected 24 victories and three draws in the top Italian football league, but its unbeaten run was ended at the hands of the same club that halted its winning-streak in late 2018 when it held the Serie A powerhouse to a 1-1 tie in the first half of the season, reports Efe news. Despite the loss on Sunday, Juventus still leads the standings with 18 point ahead of Napoli who is to play Udinese later in the day. Meanwhile, Genoa moved up into the 12th spot in the table with 33 points. Following its remarkable comeback against Spain's Atletico Madrid in the UEFA Champions League round of 16 Tuesday, coach Massimiliano Allegri decided to rest some of his regular starters against Genoa. The Italian coach's decision was made in accordance with Ronaldo, to give the 34-year-old forward a much-needed rest ahead of the upcoming commitments both with Portugal's national team or Juventus itself. Up next for the Turin side in the CL quarterfinals, where the team is set to face off against the Ajax of the Netherlands that knocked the three-time defending champion Real Madrid out in the round of 16. These changes have cost the Turin club three points due to a lack of understanding between players who rarely play together. The Juve team thus played at such low rhythm against an aggressive host side, while it was midfielder Stefano Sturaro and forward Goran Pandev, who made the difference for Genoa, scoring their side's goals, respectively. Juve's goalie Mattia Perin kept a clean sheet during the first half, making a remarkable save, however, he could not do the same after the break, as he conceded two goals during the last 20 minutes of the second half. Sturaro, who is a former Juve player, opened the scoring for Genoa with an outstanding long-range right-footed shot in minute 72, while his teammate Pandev netted the insurance notch nine minutes later with a left-footed effort from inside the area.